Finger Lakes New York measures an outstanding 23,300 sq km with 11 glacial lakes (Skaneateles, Otisco, Owasco, Cayuga, Seneca, Keuka, Canandaigua, Honeoye, Canadice, Conesus, and Hemlock) and one great lake. According to Native American legend, the lakes are remnants of fingers of a Great Spirit which blessed this land, hence the name. With a little research, we found out that this region has so much to offer for families especially those traveling the Finger Lakes with kids. Below is our list of things to do if you have a long weekend to spend in the Finger Lakes with kids. The drive from Toronto to Watkins Glen, New York is approximately 4 hours. We had a packed weekend planned. We left Toronto after work on Thursday and drove for 3 hours where we had booked a hotel in Rochester. To break up the drive, we planned to stop and spend part of the first day in Rochester where we would take the opportunity to visit the Strong National Museum of Play in Rochester before completing the rest of the drive to Watkins Glen, New York. On our way back from Watkins Glen we stopped in Corning, New York to visit the wonderful Corning Museum of Glass. The Strong Museum of Play is situated in downtown, Rochester. The museum sits just a few minutes off the highway and has a large parking lot on site which can be used for free by museum patrons. We had read so many positive reviews online about the museum and had spent the trip getting the kids excited about what they would be able to do there. When we got to the parking lot they couldn’t wait to be unstrapped from their car seats. After walking into the museum, C and D’s eyes lit up with excitement. 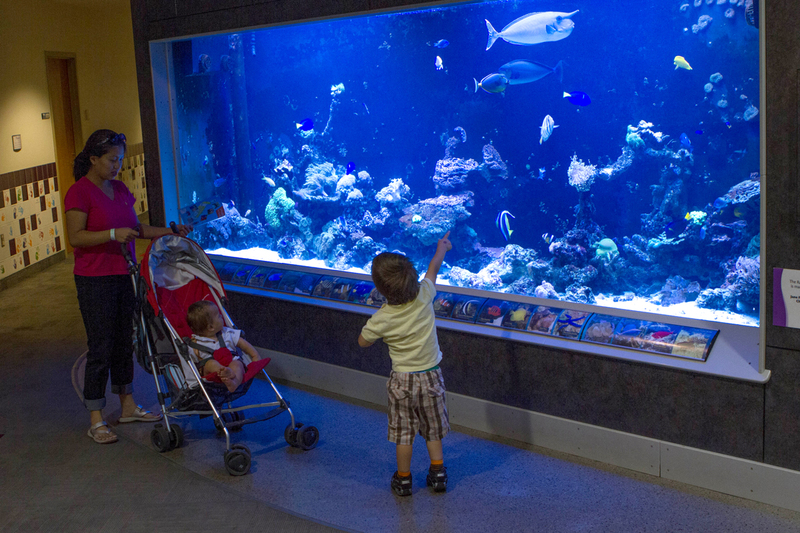 At the main entrance, we were greeted by a very large wall sized aquarium and a colorful, musical merry-go-round. While Kevin bought the tickets, the children stood transfixed watching the marine display. Having such a display at the entrance is a brilliant idea, it was the first time we had ever been waiting for entrance tickets where we the children didn’t complain or run off. 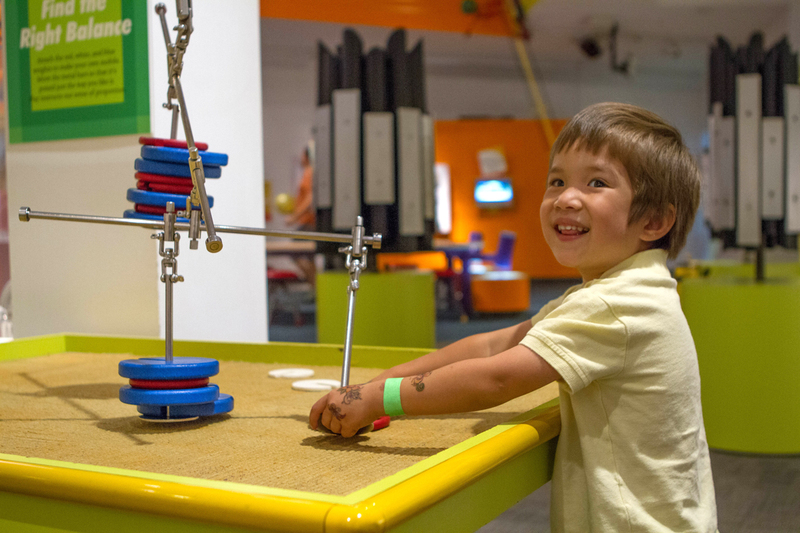 Unlike other museums we had previously visited, the National Museum of Play caters wholly to children. The museum is highly interactive and all displays encouraged touching! There are also different areas that cater to various age groups so D was not constantly being run over by older children. After spending the morning and the better part of the afternoon at the museum, the children were all played out so we decided to call it a day so we could be in Watkins Glen before dark. We still had around 1.5 hours left on our drive to explore the Finger Lakes with kids. We could easily have spent the entire day at the museum as there were many more areas that we did not explore. 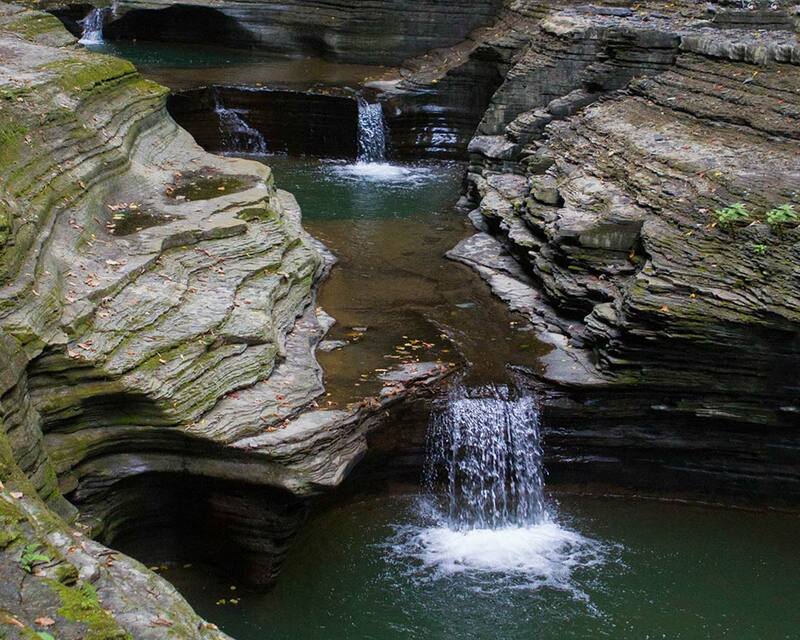 Watkins Glen Park covers 3.15 km² and has over 19 waterfalls. There are two entrances to the park: the main entrance and the upper entrance. Once in the park, there are three trails: the Indian Trail, the South Rim trail, and the Gorge trail. We used the main entrance and explored the park using the Gorge trail. It was truly a sight! 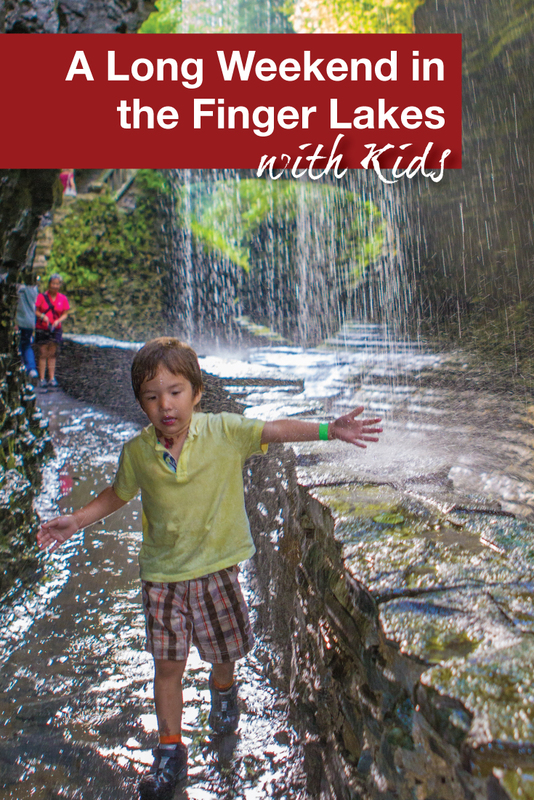 The kids loved playing under the many waterfalls that can be accessed via the Watkins Glen gorge trail. 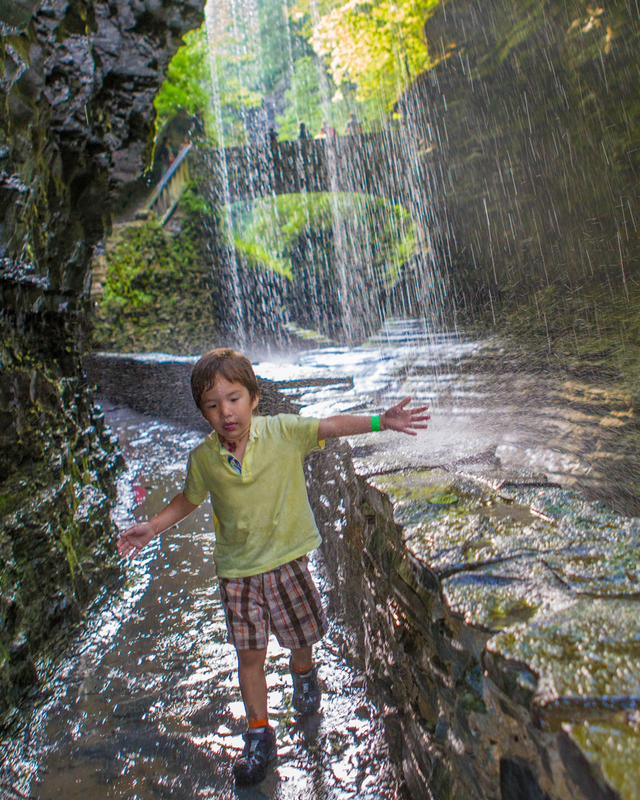 Watkins Glen is the perfect addition to any itinerary that is exploring the Finger Lakes with kids. We spent a few hours doing the entire trail as we took our time to take in the views. Also, the stones can be slippery so make sure to bring proper footwear. 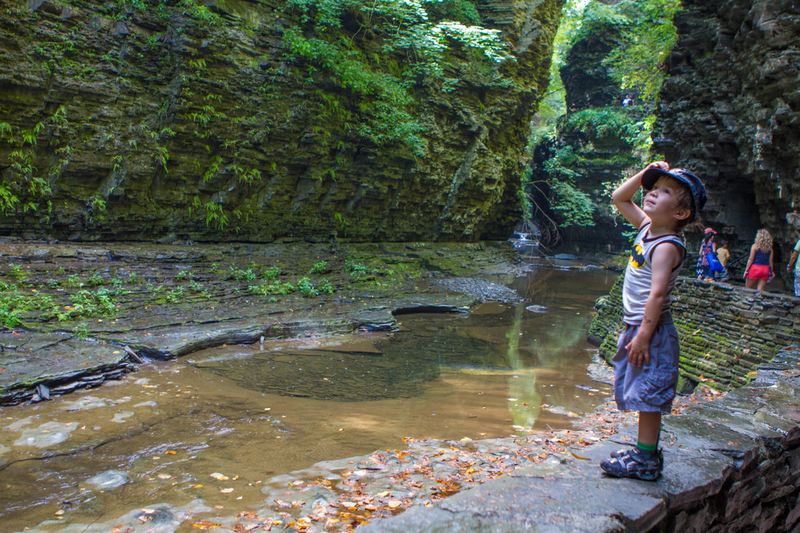 For more information and tips on hiking Watkins Glen with kids, read more here. When we were not exploring Watkins Glen State Park with the kids, we were discovering Watkins Glen Village. The village has several ice cream shops and lovely places for dinner. In addition, Watkins Glen Village is home to the Watkins Glen International. Also known as the “The Glen” for short, the road racing track hosted the Formula One United States Grand Prix for nearly 20 years. Lucky for us, the weekend of our visit a race was being held at The Glen and the kids enjoyed seeing all the flashy cars around town. Since Watkins Glen is part of the Finger Lakes at the southern tip of Seneca Lake, it is not surprising that it is also home to Lakewood Vineyards. The Finger Lakes region has numerous vineyards and many people explore the region on a wine-touring weekend. The area is known for award-winning Rieslings and some vineyards even had icewine. 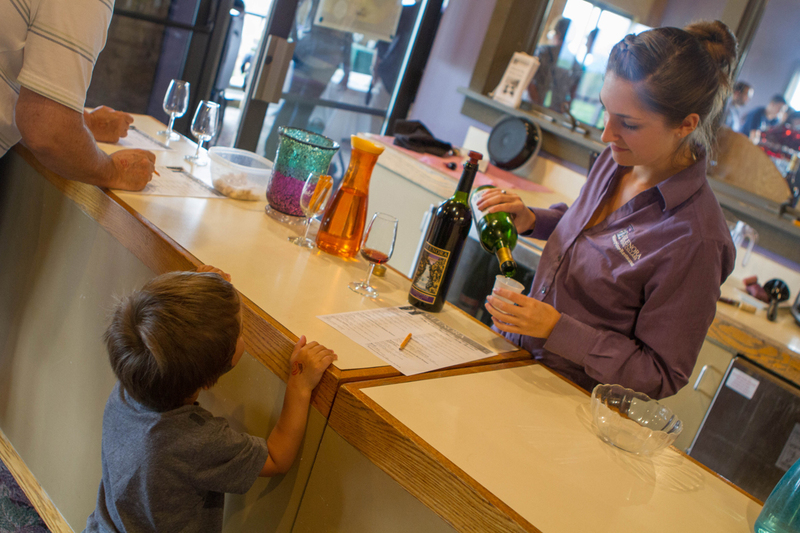 Also, many wineries have fruit juices for children to try out as well. Pro-Tip: For an amazing icewine experience, visit Niagara-on-the-Lake in Ontario, Canada for the annual Icewine Festival. Our Finger Lakes family weekend was coming to an end, but before heading out for our long drive back to Toronto, Canada we decided to visit another gem in New York State, the Corning Museum of Glass. 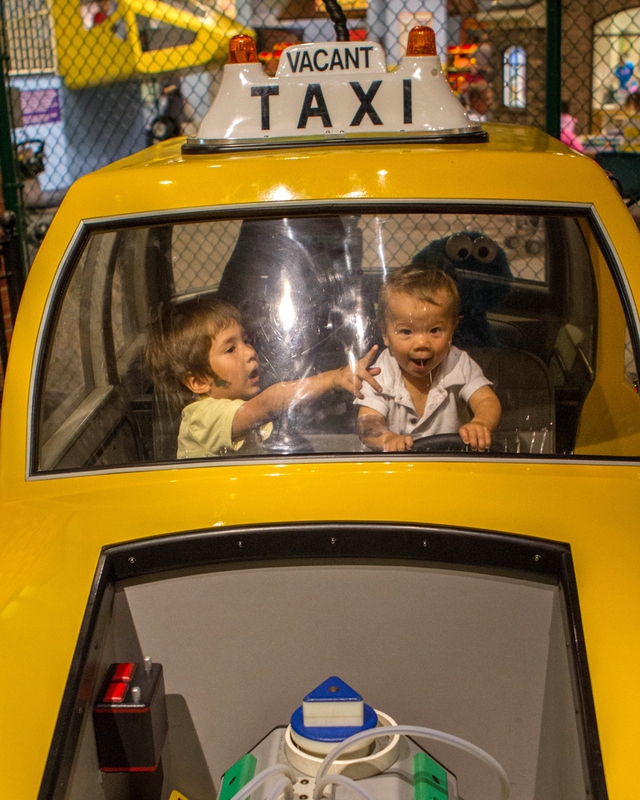 Unlike the National Museum of Play, the museum was definitely not as kid-friendly. 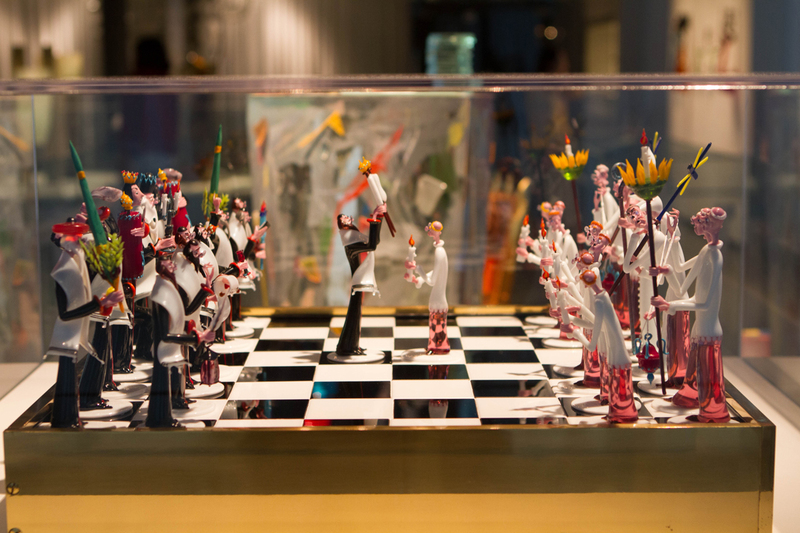 The beautiful glass displays were meant to be admired from afar and touching the displays cases was a definite no-no. We spent less than an hour going around admiring the amazing artwork that the museum had on display. One could easily spend more time studying the different pieces. But, the children were getting antsy. It was only a matter of time before something priceless was permanently shattered by a wandering toddler. 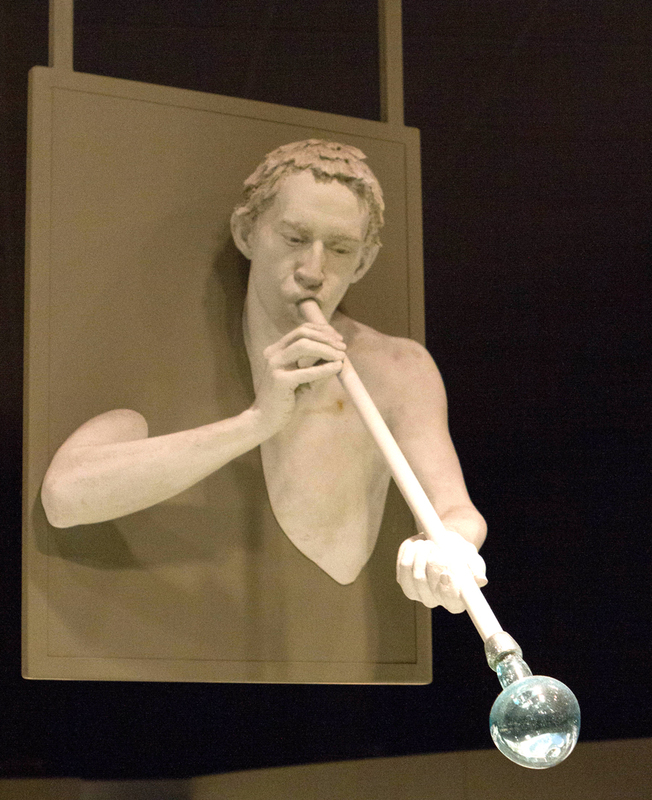 We headed to the second floor which had exhibits dedicated to the use of glass in everyday life. C and D enjoyed looking at the telescopes, holograms and looking at themselves in the various mirrors. This level also had the live glass-making demonstrations. However, the setup made it difficult for children to see what was going on. So, pretty soon C and D were bored. 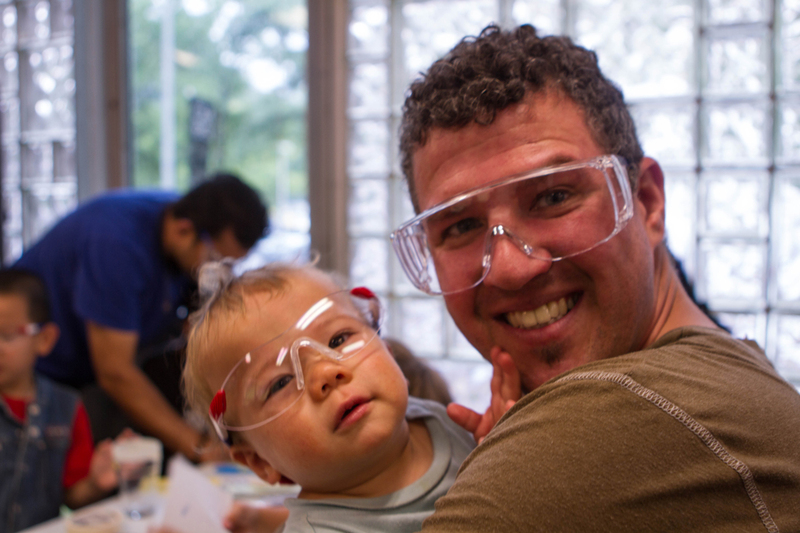 Lucky for us, it was time for their glass blowing lesson! That’s right. 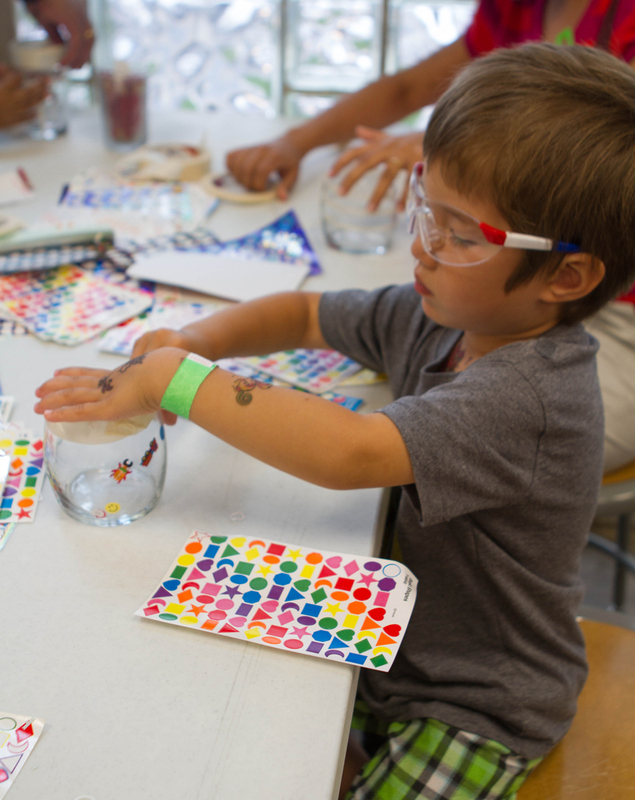 For an extra fee, the museum offers several glass-making classes located in classrooms just outside of the museum. C and D made their very own candle holders. 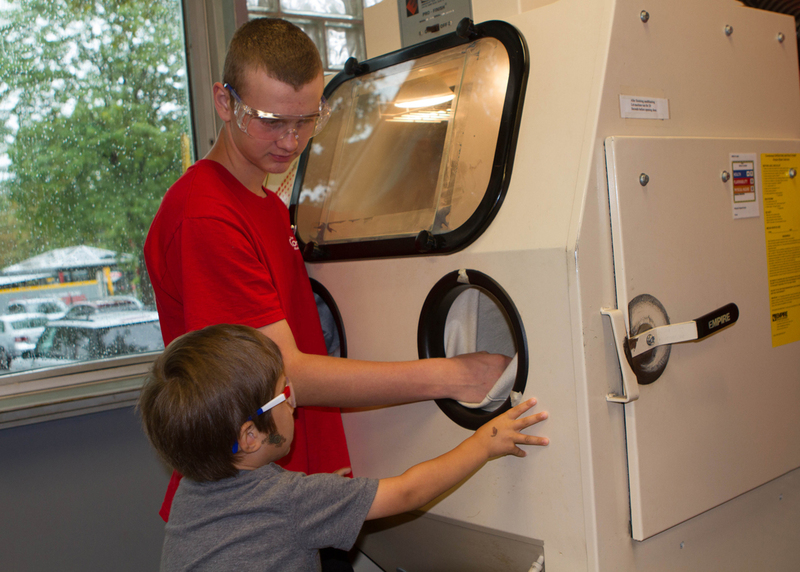 C sandblasting his candle holder that the Glass Blowing Workshop in the Corning Museum of Glass. 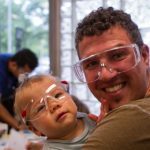 The kids enjoyed the glass blowing class so much that we participated in it again when we visited Old Town Glassworks as part of our trip to chase Northern Lights in Yellowknife, Canada. The Finger Lakes region has so much to offer and we had a blast exploring the Finger Lake with kids. As we were driving back to Canada, I was already planning our next itinerary. We can’t wait to go back! When I think of Watkins Glen, I have always thought of the racetrack. But after seeing the photos of the waterfalls in the State Park I think I have a different view of the area. What an interesting place to take kids! I love discovering nature, and places in native land. It looks fascinating and I’d love to visit if I ever make it Stateside. 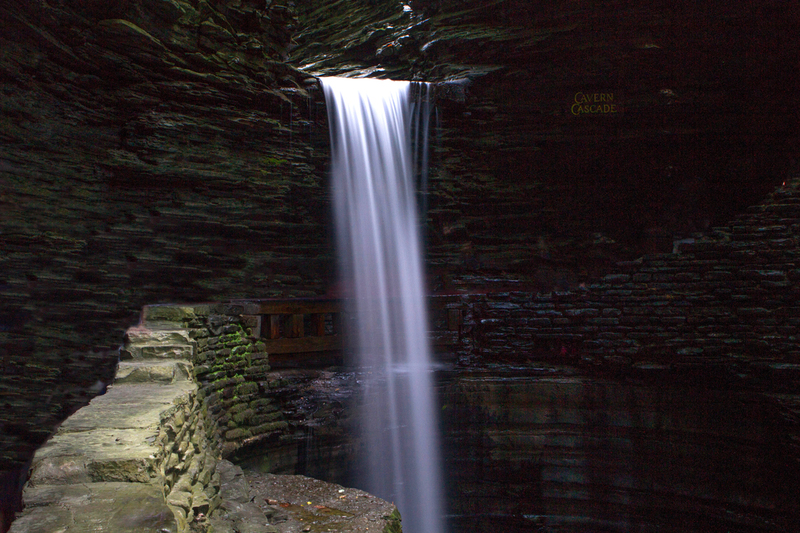 Nice overview of things to do in upperstate New York and around the Finger Lakes. We went there a year or so ago, but didn’t find all the cool things you did. We’ll need to go again! I’ve heard so many wonderful things about the Finger Lakes. Really wish I would’ve spent some time there having grown up (relatively) nearby in Ohio. 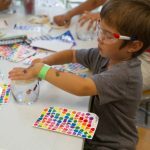 Sciencenter in Ithaca is very kid friendly as is the downtown area. 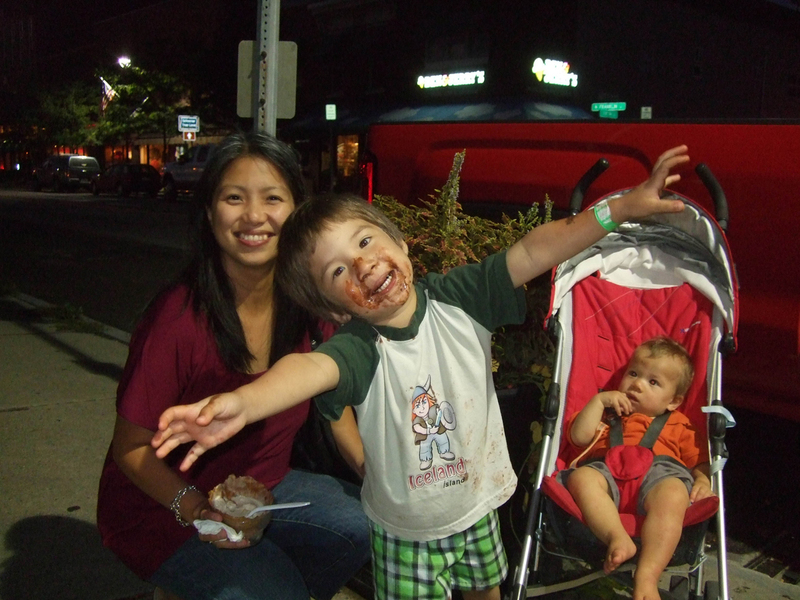 The beer garden in Watkins Glen is also a favorite place to go with our kids. 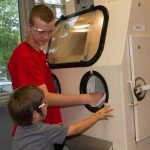 I’ve talked to others who’ve visited the Corning Museum and they loved it too… but got more time 🙂 That’s so cool about classes that kids can do. We have struggled a few too many times when picking places w/o kid-centered stuff. And the waterfalls… Amazeballs. We have a road trip planned to the Finger Lake region next month. We aren’t bringing our kids, and the plan is to visit all the wineries and waterfalls we can fit into a week. Watkins Glen is definitely on the list. Your photos are fabulous! We visited Watkins Glen State Park as a family some 3 decades ago. Smashing place. The beauty is out of this world Kevin. The scale of the Finger Lakes region is insane. Upstate offers a 180 from the busy as Hades NYC area 😉 Thanks for the inspired share guys!